of the steel stud is here. The R-stud significantly outperformed the generic steel stud, including greater load capacity and higher limiting wall heights. 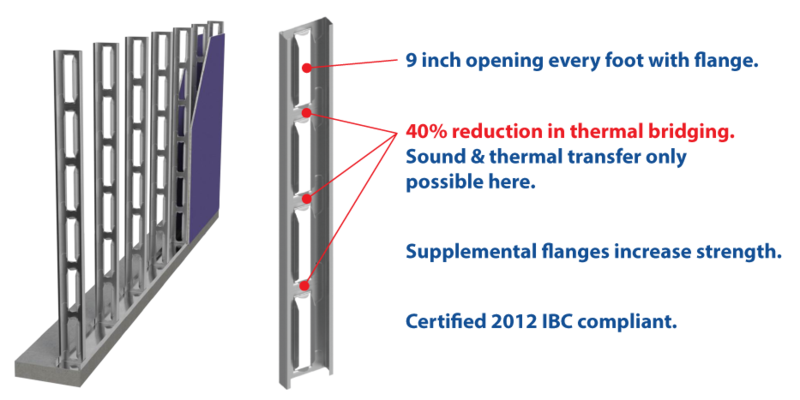 R-stud’s acoustical test results outperform traditional steel studs. Supplemental flanges and larger openings on the R-stud allow for quicker and easier installation of utilities, saving time and money. The Building Solution for Today’s Buildings. R-stud is revolutionizing the steel framing stud industry.